UPDATE The Argus Courier, Petaluma360.com just released an article on Minna, Young wizard on four wheels, By William Rohrs. Our original article from March 5th. From and article in the East Bay Express this morning: In 2013, Minna Stess became the first girl to win the California Amateur Skateboard League (CASL) series in its thirty-plus-year history. She has also won first place in the NorCal competition for street skateboarding, and second place in CASL’s State Championships. 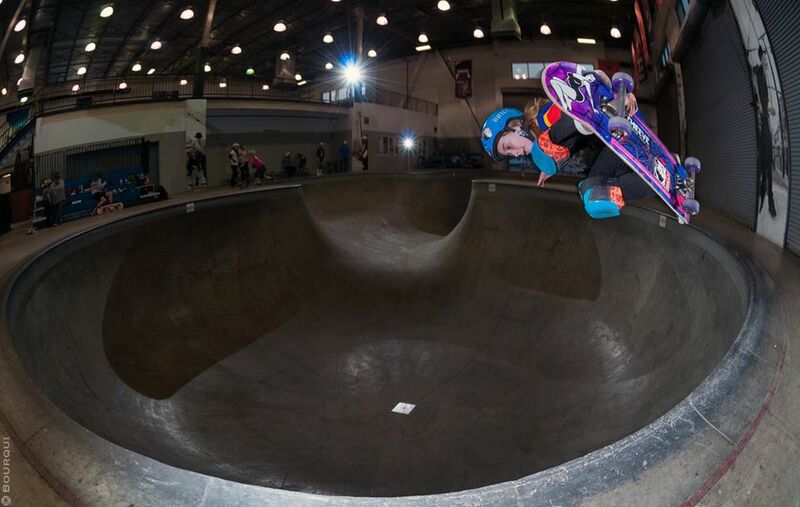 In 2014, Stess made history again at the national King of the Groms contest in Minneapolis by becoming the first girl to win an event (beginner mini ramp), to win an ATV award (all terrain vehicle/best all around), to make the finals in three events (street, mini ramp, bowl), and to make the top five in street skating. And this year, she placed third in the Vans Girls Combi Pool Classic (a World Cup Skateboarding event). She has multiple sponsors — including BrokinBonz Clothing, Lakai Limited Footwear, Theeve Trucks, Silly Girl Skateboards, Sonoma Old School SkateShop, and Girl Is Not A 4 Letter Word, a brand by one of the original pro girl skaters, Cindy Whitehead — plus thousands of Instagram, Twitter, and Facebook fans. Minna Stess is eight years old. And she is one of the many impressive young (and less young) women in the Bay Area who are changing the sport of skateboarding for the better, and inspiring countless others along the way. Great article Anna Pully! 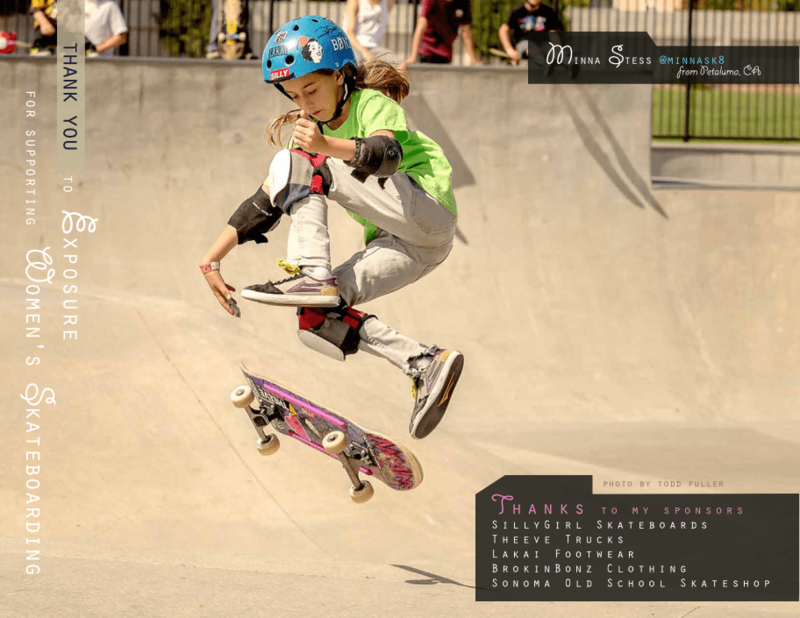 To see the rest of this article go to These Female Skateboarders Are Changing the Sport for the Better | East Bay Express.